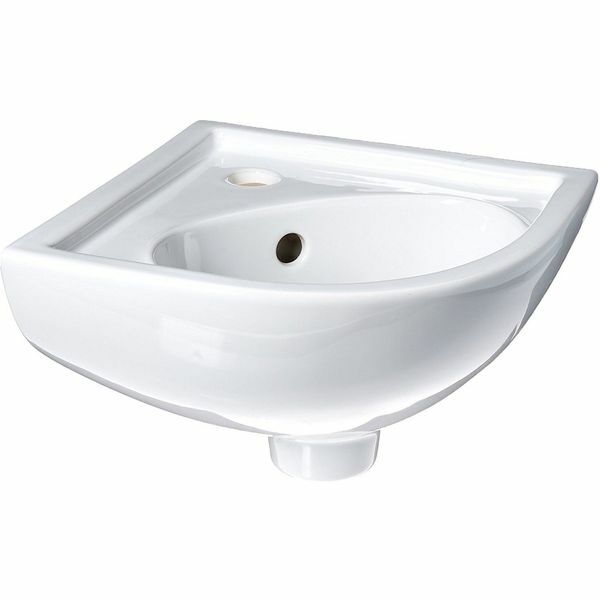 Portsmouth CORNER space-saving pedestal sink 32 3/4 in. H x 22 in. W x 20 in. proj. The Portsmouth Corner Pedestal Sink is a beautiful traditional sink design that is made to suit the spatial requirements of small modern full and half bathrooms. 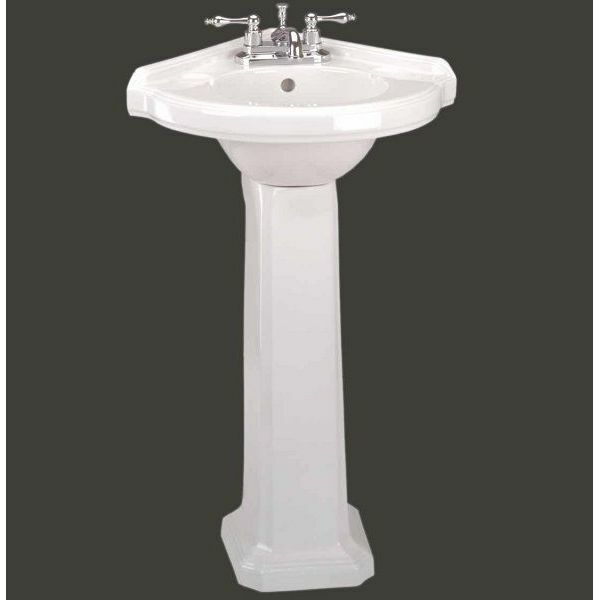 Fashioned out of heavy-duty, sleek grade A vitreous china, the sink has a stately pedestal base and a round basin. Finish the piece with any 4-inch center faucet set of your choosing. The Barclay Petite Vitreous China Wall-Hung Corner Basin is a space saving solution that makes it possible to transform an empty corner into the ideal place for hand-washing, teeth brushing and more. 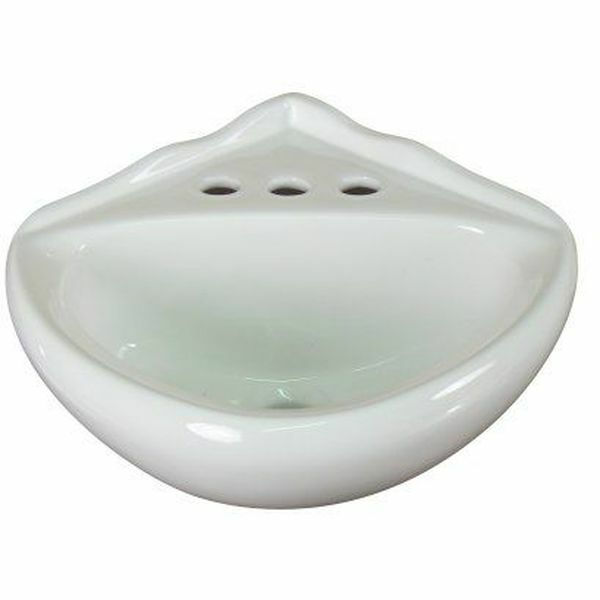 The sink is constructed out of white vitreous china, which is ultra sturdy and very simple to clean. Don’t waste precious space in the bathroom! Use the Elite Sinks Porcelain Wall-Mounted Corner Sink and utilize an empty corner to the fullest! Sold with mounting hardware and ready for finishing with the drain and faucet of your choosing, this elegant modern sink is manufactured out of white porcelain. Add simple elegance to your space with this Bathroom Corner Clear Glass Sink Hardware Combo Wall Mount. 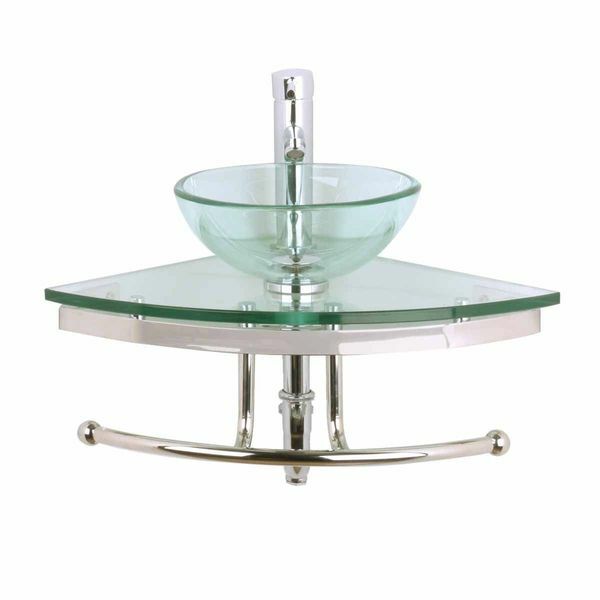 The tiered sink features a glass sink bowl that sits on a triangular piece of glass. Beneath the sink is a metal base from which a curved towel rack extends to allow you to hang hand towels for easy reach. Need the space saving benefits of a corner mount sink but want something with more of a unique shape? The New Style Small Corner Wall Hung Sink is certain to meet your needs. 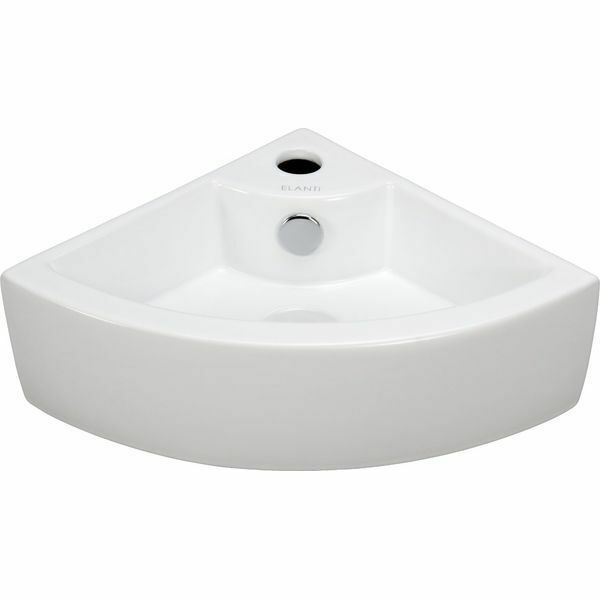 An attractive scalloped edge rests against the wall, and the front of the rounded basin dips low for an attractive silhouette. 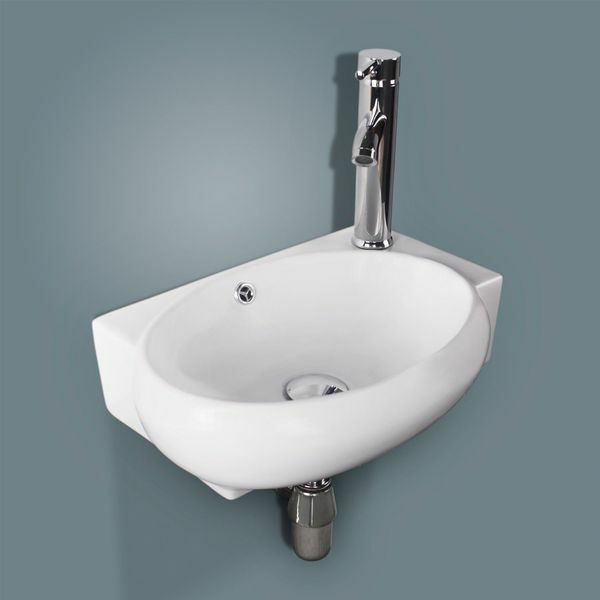 Make the most of the space in your small bathroom with this Sliverylake Corner Wall Mount Sink. The sink easily fits into any corner and attaches to the wall to maximize space. The design is completed with an easy-to-clean polish on both the faucet and the sink itself.